Today's professionals are taking a more active role in their careers and their lives. These individuals want to be more engaged in their training and have expectations that the training will meet their needs. 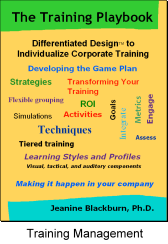 The book is intended to help human resources professionals, corporate trainers and managers to understand the importance of differentiating training to include all learners. 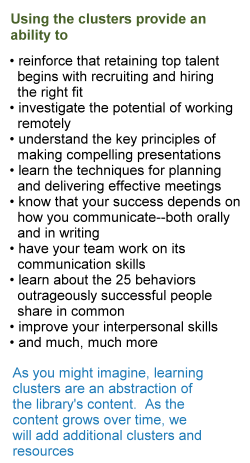 It highlights some of the common assumptions made about how adults learn and tactical tips to help change the training environment to reach all learners. The second part of the book focuses on developing a game plan to transform your training from the typical to the differentiated method. This section of the book illustrates how the training expert transitions into the actionable phase of creating an effective learning environment by incorporating the trainees learning preferences into the learning plans. We end with practical strategies that corporations can integrate into their plans to change the learning culture in their organization. Whether you wish to energize, engage and enable learners to develop skills and acquire knowledge through connected, collaborative, and continuous learning experiences, or request or allocate training resources, Training with Skill will show you how to apply three job aids to achieve learning and performance outcomes you desire. By applying three Training with Skill Job Aids given in this book, you will guide learners to access and use six learning services, apply five learning aspects and carry out four assessment activities. Abounding with relevant and meaningful practical exercises, Training with Skill presents you opportunities to skillfully deliver training that matters to workplace learners. 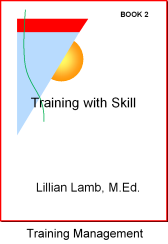 Enjoy learning how to train with skill. The knowledge and skills you build by applying the practical job aids given in this book give you a strong foundation for continued development throughout your training work.